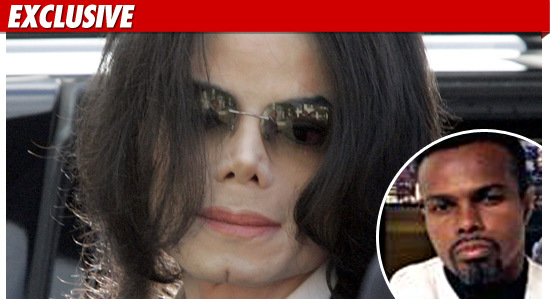 Michael Jackson's real-life Billie Jean is set to be exposed in a new movie that a former Jacksons associate is shopping around Hollywood and London. Ron Newt grew up with the Jacksons and took home video footage of Michael as his solo career was taking off in 1981 and 1982. He was forbidden from doing anything with the film while the King of Pop was alive, because Jackson didn't want fans seeing rehearsal footage. Newt tells WENN, "He didn't want people seeing all the mistakes, but it's hilarious stuff - Michael cursing and rehearsing and yelling at his brother Randy for stepping on his mic cord." But now Newt has unearthed the lost footage and he's offering it to producers, along with an introduction to the California stylist who inspired Billie Jean. He says, "It's time she was revealed on film. I know where she lives and I know she'll talk. She has a son that looks a lot like Michael Jackson. Hers is a fascinating story, and together with my rehearsal footage of Jackson before he started messing with his appearance, this film could be a big hit." Newt is also working on a book, All That Glitters, about his long association with the Jacksons, which ended in 2005 after the King of Pop's child molestation trial. LOL ....watch these sounds like "Ron" is just another playe'a. Oh how I would love to say that this footage and the way Ron was acting is false/made up but unfortunately this is how alot of Pimps act. It really is true when they say truth is stranger than fiction. Run Michael! Run away from all these greasy no good and out for making money off of you people like this Ron dude. These are the types of people that make me roll my eyes and lmaoooooo because they do exist. I personally know Kenny Red. In fact I know 3 of the pimps from the movie he was in called American Pimp. I was in Hawaii when the footage was shot about Charm. The man behind the deal is Ron Newt -- who claims he was so close with Michael, and that the singer gave him special behind-the-scenes footage from Jackson's 1981 Triumph Tour.